When two bodies that still alive are separated, they deviated from the marked paths, and there is a kind of death. A couple knows that they have reached the end. But they have not yet expressed it. When must the decision be taken? Based on stories, personal experiences and real events, this is a fictional work. The play is based on the connection between the discourse of love, dramaturgical research and the construction of the image. 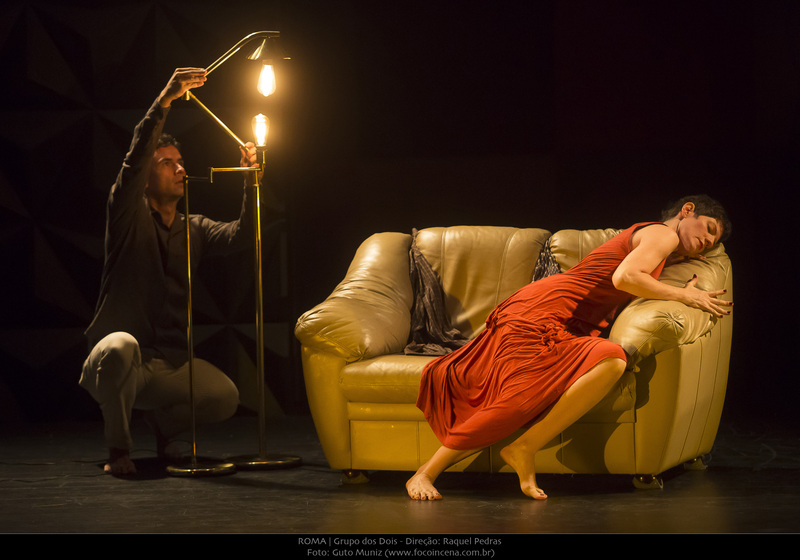 Carolina Correa, Alexandre Vasconcelos and Raquel Pedras investigate the construction of the play from different experiences in stage setting. A mixed performance of dance and theatre to reflect on the impossibility of staying together, even when there is still love. Founded in 2013, the Dos Dois group is a company based at the Soller Arts Center in Nova Lima. The group was founded by Carolina Correa and Léo Kildare Louback and currently consists of Carolina Correa and Cristiano Diniz, two artists who work on artistic creation and performances based on biographies and the paths the theatre can take to transform common stories in fiction. The Dos Dois group aims to formulate and reformulate the ways of existing within the historical context and the dominant discourse of the times in which we are living. The group’s research into dance, theatre and performance stimulates the creation of new languages and contributes new perceptions and, most importantly, autonomy to realise their life-art projects.